A photo tweet posted by “AzoozF” with an IS logo purportedly shows Steven Sotloff manning a truck mounted machine gun. It was posted on Wednesday. 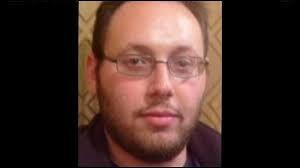 Arabic text accompanying the photo identifies the man as Sotloff. The unverified – and in the supposed ISIS video, not shown – beheading of Sotloff is being used as a pretext to launch a war inside Syria against the Saudi and Qatari financed and U.S. military trained Islamic State, formerly ISIS. “Leading lawmakers in charge of foreign policy reacted Tuesday to the reported beheading of American journalist Steven Sotloff by increasing their calls for more congressional involvement and oversight of President Obama’s war on ISIS,” Josh Rogin wrote for The Daily Beast on Tuesday. Democrats on the House Foreign Affairs Committee are leading the charge. Senator Bill Nelson, a Florida Democrat, is preparing to introduce legislation giving Obama congressional authority to enter Syria and bomb IS.